During and after his education at Harvard, Congressman Ruiz also volunteered and worked abroad. He spent a year as a medical student with Partners in Health, bringing health care to the poor in Mexico. In El Salvador and Serbia, he served as a consultant to the ministers of health on emergency healthcare reform and in 2010, Dr. Ruiz was one of the first people on the ground in Haiti after the devastating earthquake. As promised, after earning a medical degree and two graduate degrees from Harvard University, Dr. Ruiz returned to the Coachella Valley, where he utilized his education and experience to not only become a leader in his community but to serve as an emergency physician. As the founder and director of the Coachella Valley Healthcare Initiative, he brought together stakeholders to improve public health and healthcare access in this badly underserved community. 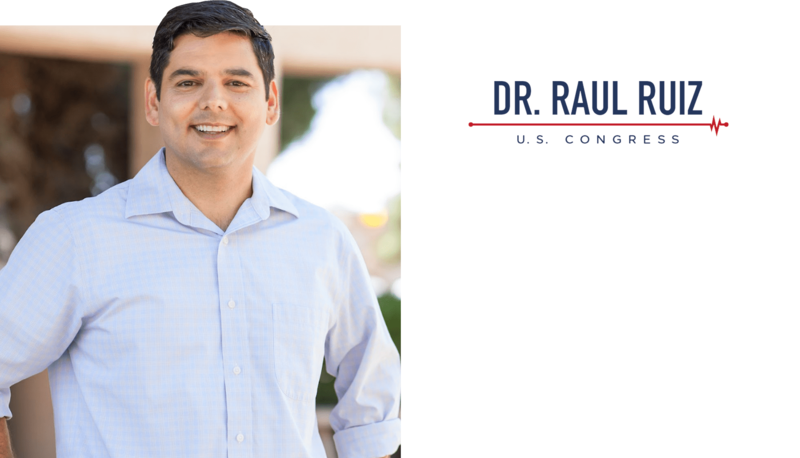 And, as an emergency physician – not a career politician – Dr. Ruiz has spent his time in Congress fighting to protect Medicare and Social Security, standing up for Veterans, opposing DC-insider perks and privileges, and always remembering where he came from. In January 2017, Dr. Ruiz was appointed by his fellow Democratic colleagues to serve on the prestigious Energy & Commerce Committee. As the only Democratic physician on the committee, his unique perspective was invaluable during last summer’s debate over healthcare. Dr. Ruiz continues to represent the people of California’s 36th District with pride and a determination to improve the lives of his constituents and the American people by never forgetting the promise he made to serve his community all those years ago. He lives in La Quinta with his wife, Monica, and three year old twins, Sky and Sage.